It's good to know that there are more and more handset manufacturers that use Android OS for their smartphones. Some of the Android phones that are officially introduced just recently are Motorola Dext, HTC Tattoo, and LG GW620. Let's take a quick look at some of their important features and find out if they can compete with other Linux-powered smartphones like the Nokia N900. Motorola Dext (known as CLIQ in the US) is considered as the only mobile phone that can automatically sync, organize and deliver data like messages, email and phone contacts, and other contents directly to the phone's home screen in a secure and easy to manage streams. They call this technology MOTOBLUR, and this makes Motorola Dext (CLIQ) a one of a kind and innovative smartphone. More info at product website. 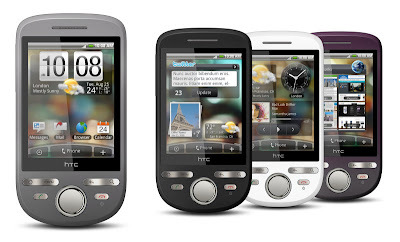 From the manufacturer of the very first Android-powered mobile phone, which is the HTC Dream, HTC Tattoo could help bring Android to the masses. This is because of its rumored price tag of only $300 US dollars. Just looking at the photo below makes me want one. 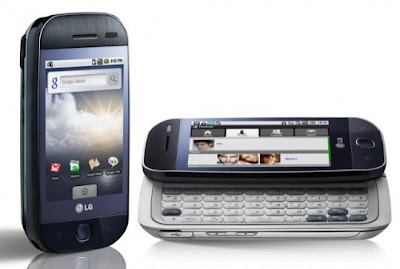 LG GW620 is the first Android-powered smartphone made by the world’s third largest mobile phone company. According to Dr. Skott Ahn, President and CEO of LG Electronics Mobile Communications Company, "The LG-GW620 will appeal to first-time smartphone customers by offering a new and different kind of user experience." I think LG GW620 has a consumer-friendly design, and with the usual Android killer features, it is too hard to ignore. Motorola DEXT as it is known here in the UK is the new mobile phone released by Motorola Inc on October 2009 in the UK on Orange Network. 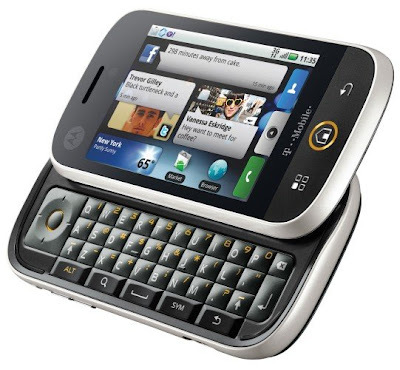 This Dext from Motorola is powered by Android based operating system and has built-in social networking capabilities.